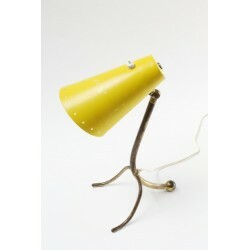 Beautifully designed table lamp from the fifties. 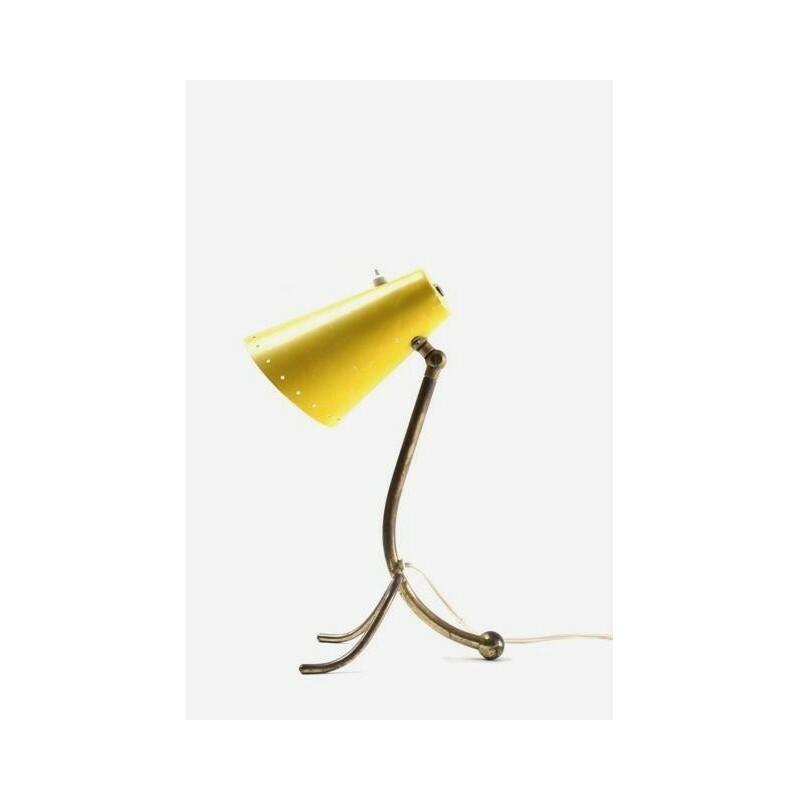 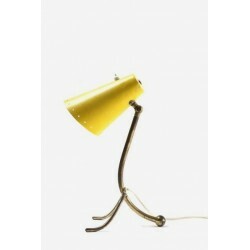 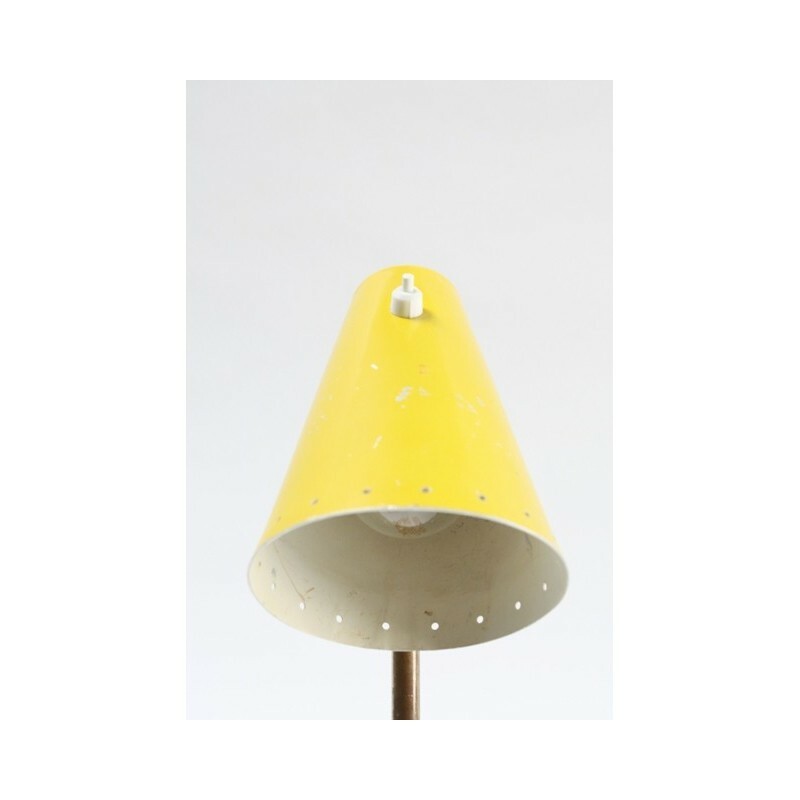 The lamp has a yellow cap and stands on a brass colored base. 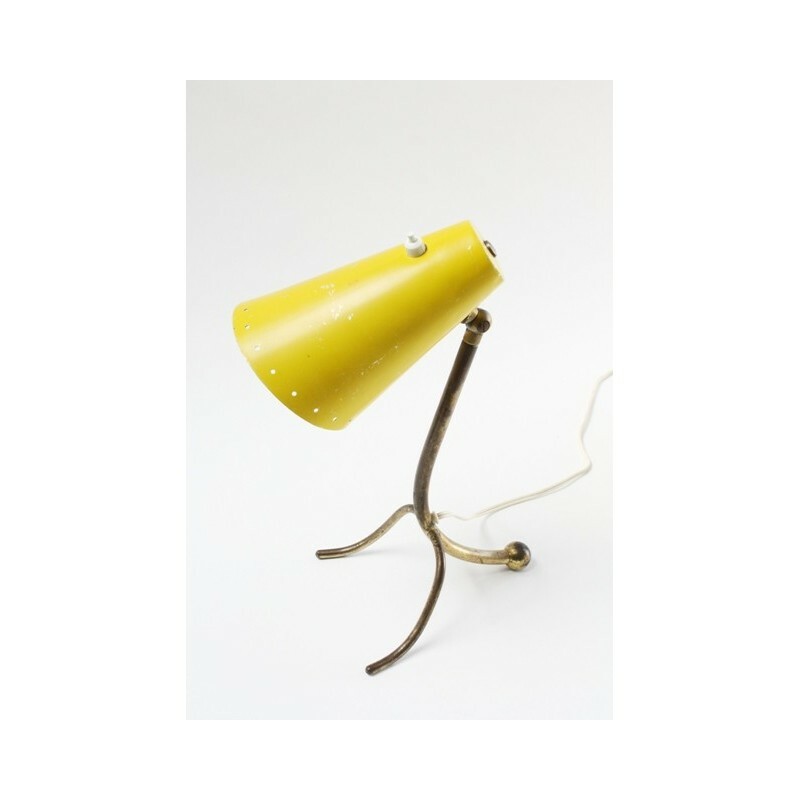 The condition of the lamp is reasonable given his age, there are some visible traces of use (see the detail photos). The size is 34,5 cm high, the cap is 17 cm long and 11,5 cm in diameter.